Fishersville, VA is definitely what you’d classify as a “growing” town and that means that people are constantly moving around and in-flux. As you are moving, selling, preparing rental properties, or just wanting to fix up your yard, it is important that you take your trees and plants into consideration. Staunton Tree Service offers the Fishersville area with many different services, including the ones listed here and more, to help keep everything in Fishersville beautiful – no matter the season. Use the form below to request a free estimate on your tree service needs in Fishersville, VA. In Fishersville, tree removal is one of the biggest services we offer. From removing older trees that are sick and dying to removing trees for property expansion and development, we do it all. We really do have to stress that tree removal is dangerous, and you need to ensure that you get a team of people who have all of the required certifications, education, tools, and insurances. Call us today and we will be able to give you a quote for tree removal – from one tree to many. Tree trimming and pruning is an easy way to make your yard or property look much better in a short amount of time. However, taking it into your own hands is a way to make your property look much worse in a short amount of time – and it might last for a long time. Hiring a professional that knows all about the different ways to trim and prune even the most specific trees is the best way to ensure growth and beauty in the short and long term. If you’ve had a tree removed or are thinking about using our services to get one removed, then you may also want to consider stump grinding. When trees are removed, there is a stump left that not only opens your yard up to disease and infestations (and whatever else killed the tree), but you are leaving something pretty ugly there. Stumps get in the way of daily activities and makes lawn maintenance difficult. Stump removal doesn’t take long at all when left to Staunton Tree Service, as we have professional grade tools that make it easier. Health care screenings for your trees are a way to prevent some pretty serious disasters. From infestations and diseases to dying branches, a screening can find major issues and either stop them from spreading or find another fix for the problems. It is especially important to have your tree health care screenings done in the spring and fall before storms come and can possibly take them down. Fishersville isn’t immune from storms, so if you did have a health care screening done, you might have some pretty serious storm damage cleanup to do. Staunton Tree Service has a wide variety of tools, trucks, and team members to help clean up after any kind of storm – from removing fallen trees from your yard to helping repair breaks and snaps, we’ll be there to help you out. Fishersville is growing, and they need to become stronger as well. We are seeing more families than ever, and with that comes more and more homes and yards that need to be taken care of. 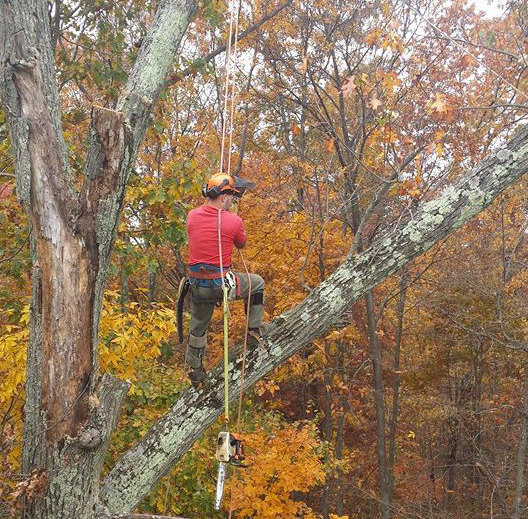 Staunton Tree Service is equipped to handle all of Fishersville, including businesses.